Parlez-vous franҫais? Sprёchen Sie Deutsch? 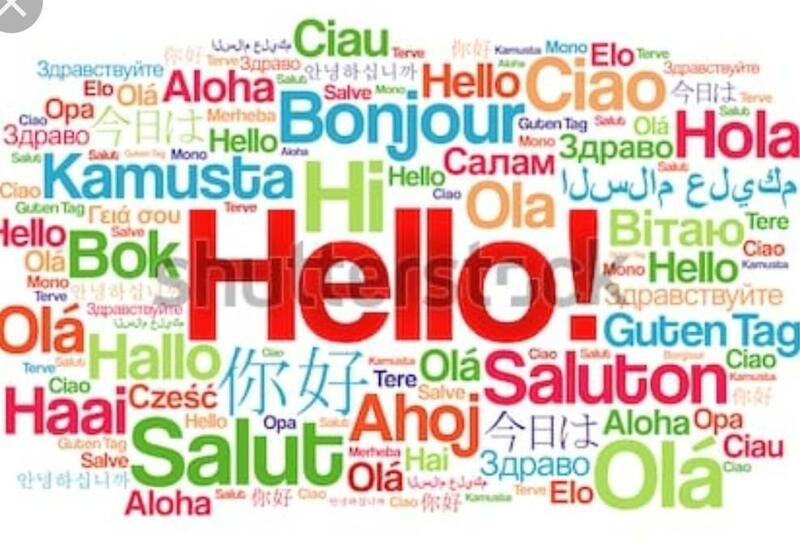 CCS has as its core the desire to promote diversity and inclusiveness and this was evident when modern foreign languages were celebrated in the school. 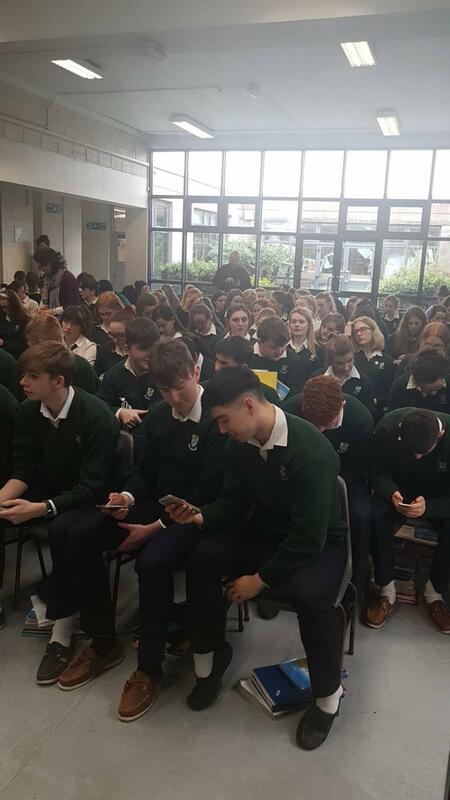 Students in the school are offered both French and German as options from 1st year to 6th year and many chose to study both languages to Leaving cert level. The week chosen reflected the international day of French speaking countries on March 20th when France, its language and culture are celebrated in a fun and innovative way. 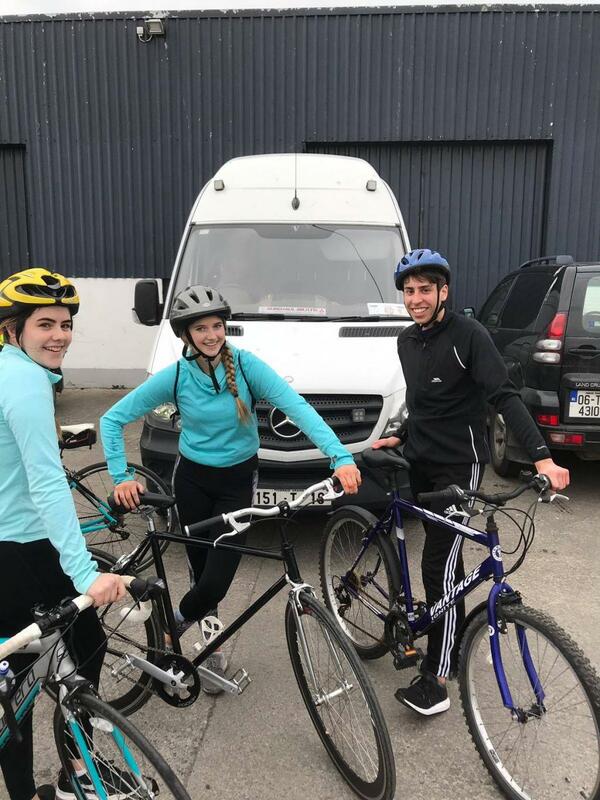 A language quiz, first year French and German breakfasts, art competitions, a Ty French theatre show and a senior essay writing competition were some of the activities enjoyed by students over the course of the week. Junior cycle students participated in a Modern Foreign language art competition under the theme of We love languages/Nous aimons les langues /Ich liebe Deutsch. The standard of entries was extremely high again this year with Oona Bogdan, Vicktor Csanyi and Chloe Coleman being awarded 1st, 2nd and 3rd year prizes respectively. Julianne Bongaras’ impressive art work scooped her the overall art prize this year. Bravo! 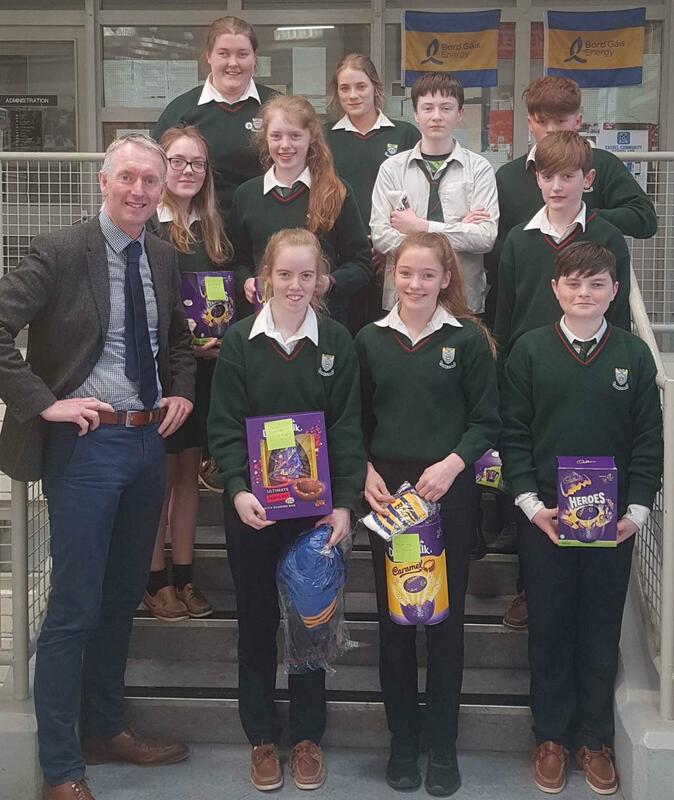 1st and 2nd year students for their part participated in a highly competitive table quiz on Friday where a tie break round saw Eoghan O’ Leary, Adrian Gayson Molloy, Gráinne O Connor and Amy Wood emerge as triumphant winners . Senior pupils demonstrated their prowess in both French and German producing insightful essays in both languages on why it is important to learn modern foreign languages. Sophie O Shea, Áine Reade, Jennifer Fogarty and Marjorie de Castro proved successful in this section. 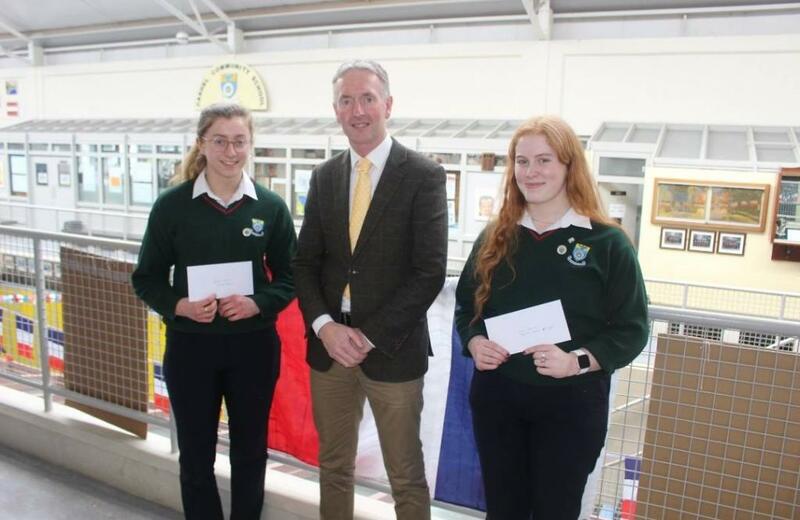 The final task for sixth years was to interview students and teachers in French throughout lunchtime with the best interviewers Caoimhe Crosse and Julia Bongaras both receiving a prize for their efforts. 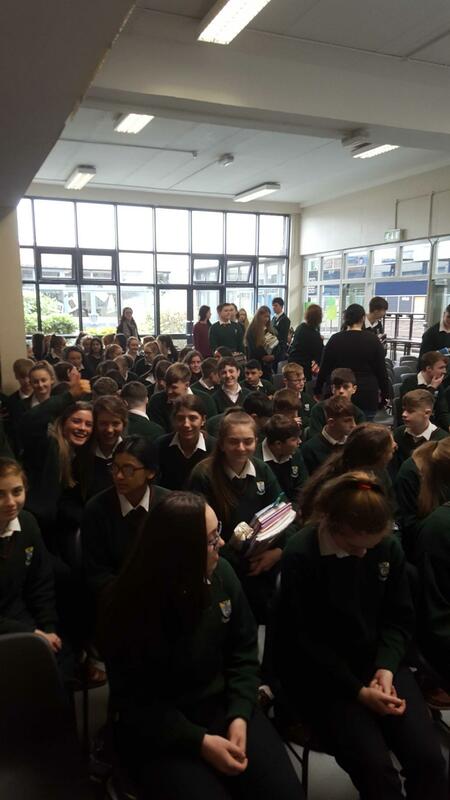 A new departure for modern foreign language week was the provision of a French and German breakfast for all first years organised by their 6th year link students. The pupils all enjoyed croissants, pain au chocolats, salami, smoked cheeses, ham, rye bread and juices in school. Staff also benefitted with an array of French and German delicacies provided at break time. 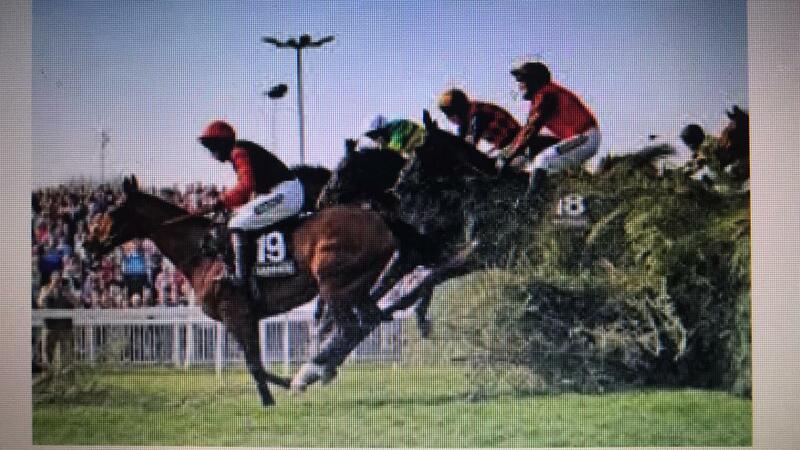 Support from Supervalu and Cashel was much appreciated. Accompanying Photo: Mr. John Gallagher (Principal) with Jennifer Fogarty & Caoimhe Crosse. Saturday 6th April. Game is at 1pm in St. Molleran's GAA Club Carrig-Beg, Co. Waterford. We would love if you could come along and support the girls. 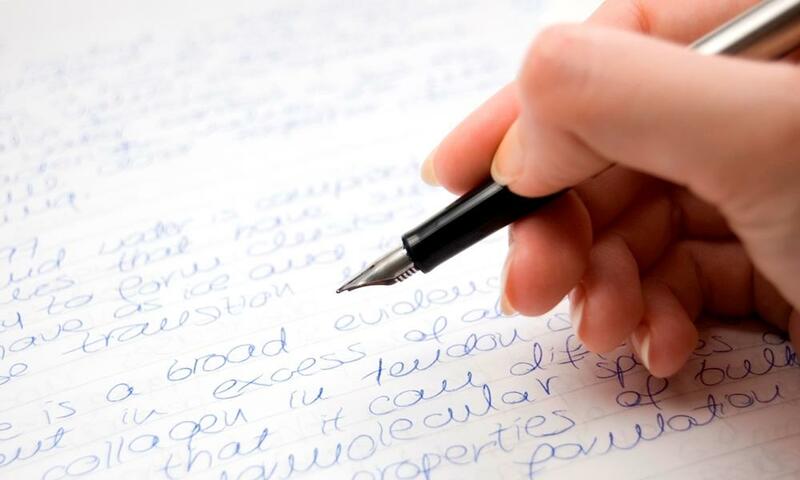 Students are invited to enter the 2019 Creative Writing Competition. Entries under 3 categories - Poetry, Short Story and Essay. 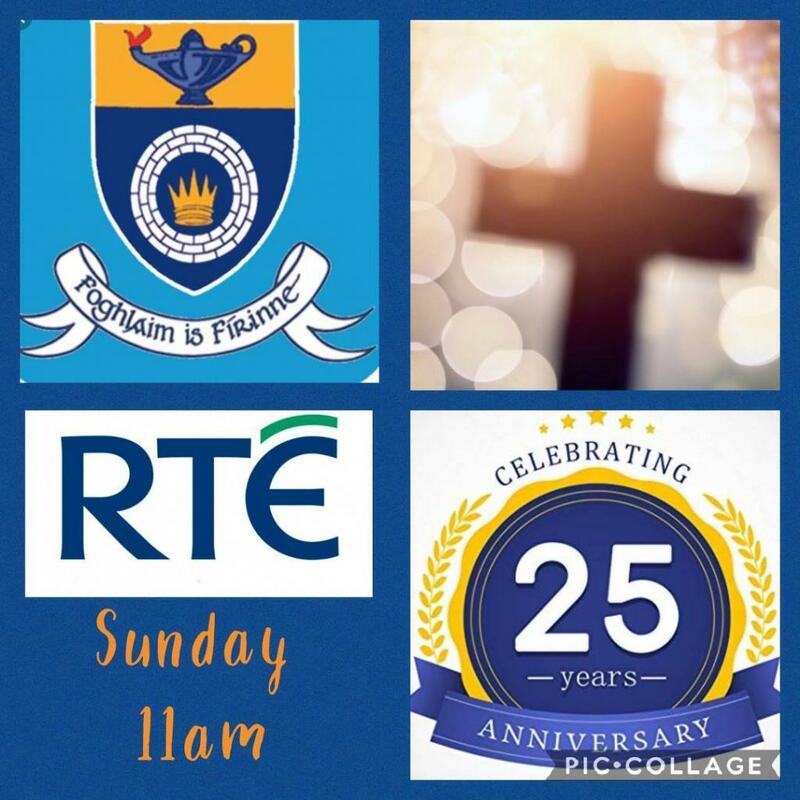 Awards will be given on Award Night for the successful entrants from 1st year, junior cycle (2nd/3rd years) and senior cycle (TY, 5th and 6th). Students are free to choose their own topics and can enter as many categories as they wish. Entries to be submitted to the English teachers by Tuesday 30th April 2019. Members of the first year and under 14 boys soccer teams wearing their new kit sponsored by John Ryan Stoves and Fire Places. The school wish to thank John for his generous sponsorship and Mr. Richie Ryan who designed the kits. 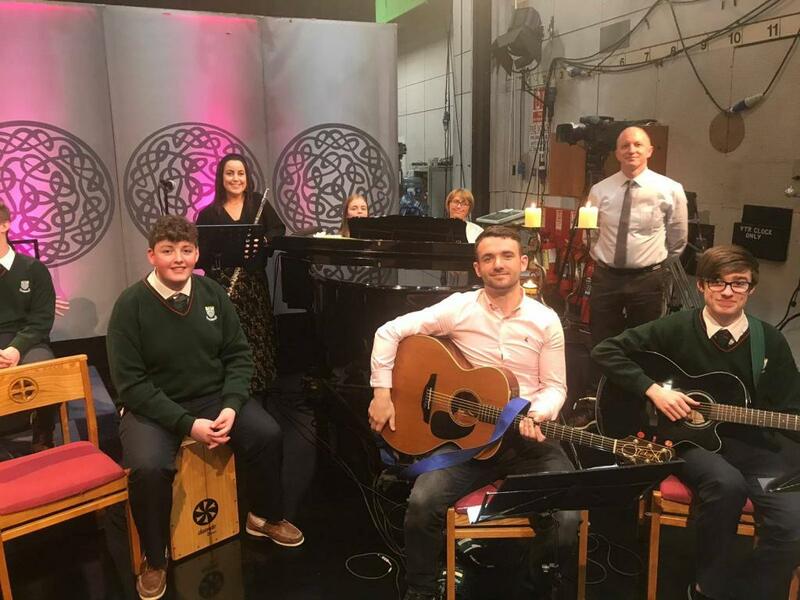 Seated , left to right , Pauric Ryan, Charlie Ryan, John Ryan (Sponsor) , Ciaran Fitzpatrick, Jack Quinlan. 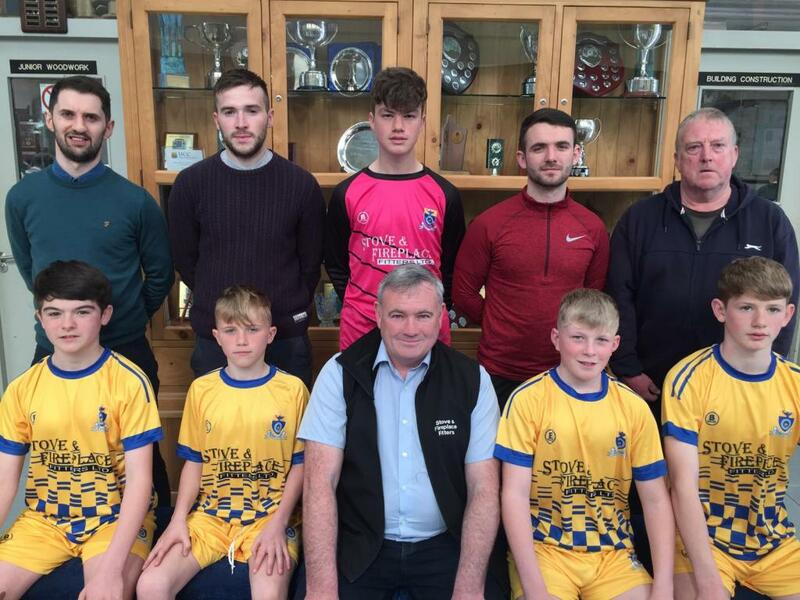 Back row left to right : Michael Kennedy (soccer co-ordinator) Sean Wade (Team Manager), Dylan Fogarty, Paddy Byrnes (Team Manager) , Martin Coleman (Team Manager). 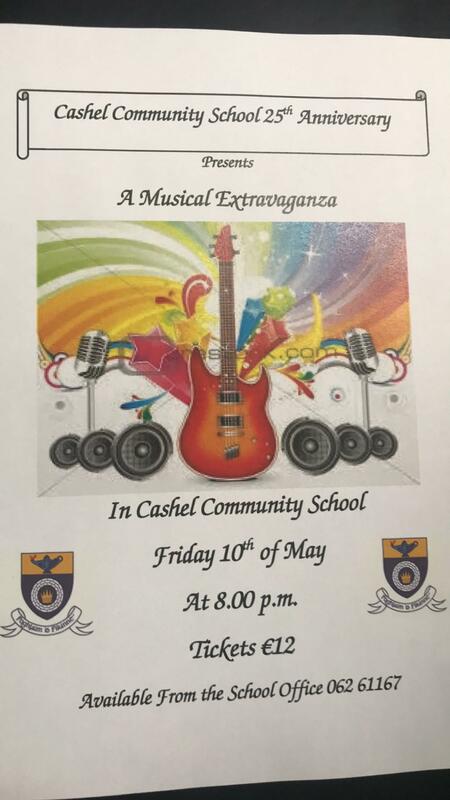 A date for your diary.Cashel Community School Anniversary Committee would like to bring to your attention a special night of celebration in our school. Past and present students will provide a night of entertainment through music and dance . We hope you will be able join us on the night and share the experience with us . 1st place winners of the Bank of Ireland Bond Traders Event in Tipperary. 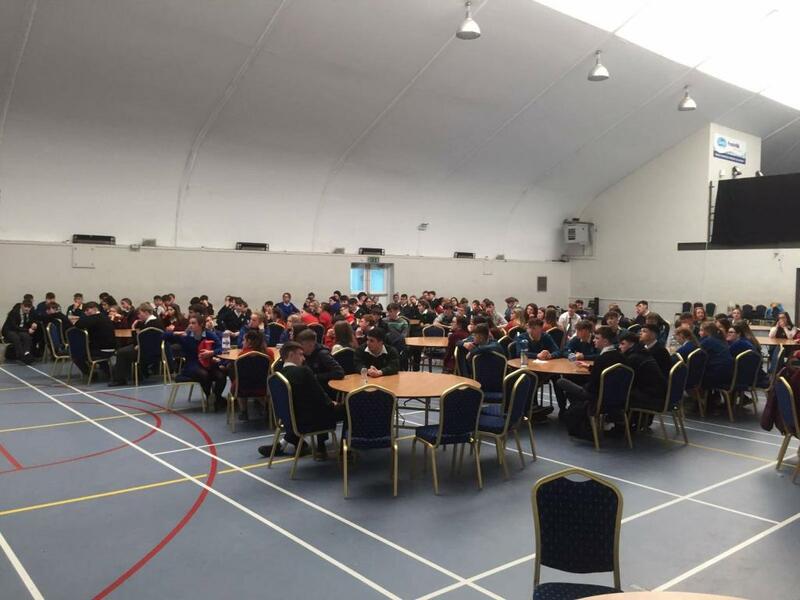 148 students participated in this event with Cashel Community School coming out on top. 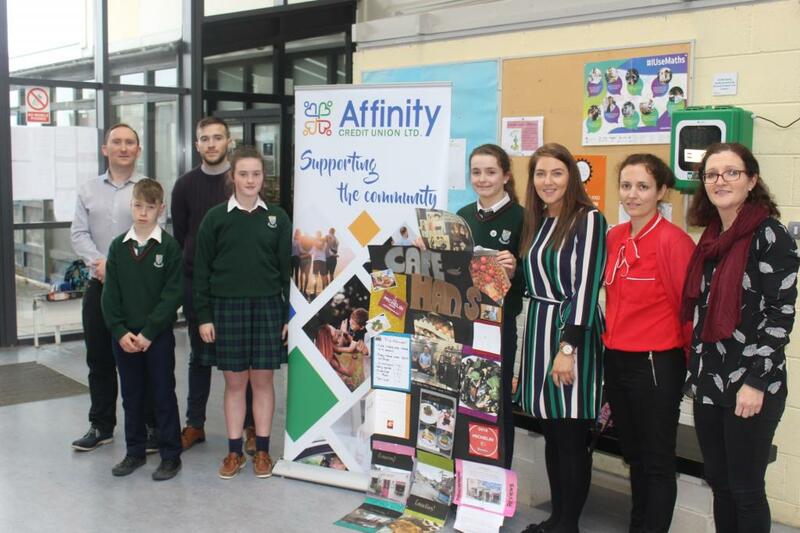 Well done to all 5th year students who participated in the competition. 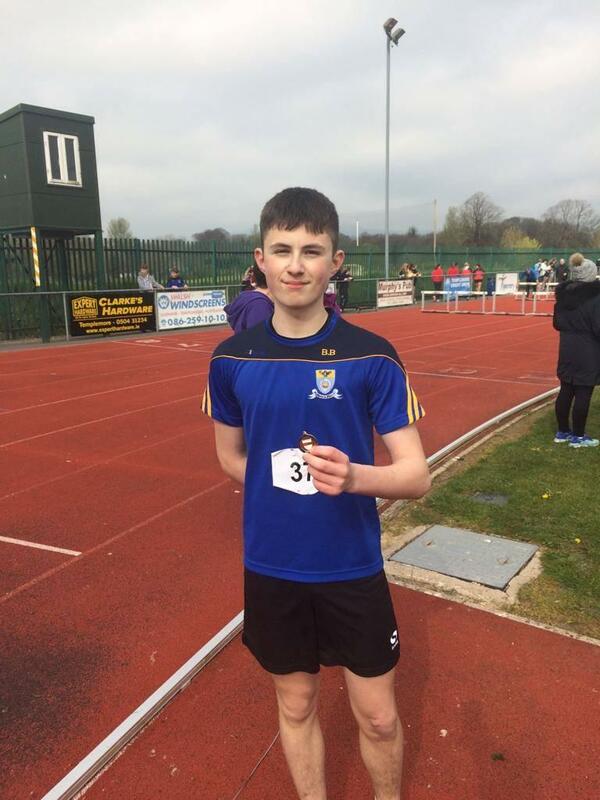 Winners Joe Fitzgerald, James Casey, Becky Taylor and Elma Casey. 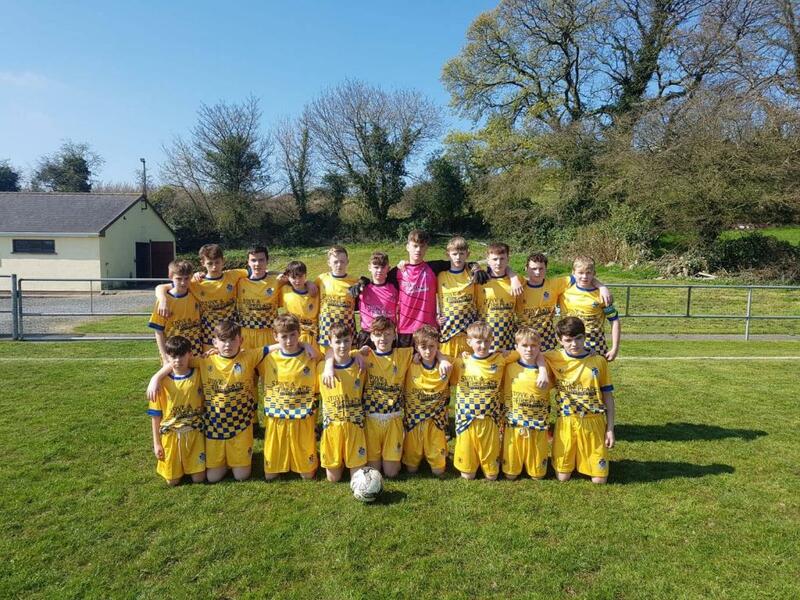 First year boys soccer team who beat de la salle to reach the Munster A semi final. Well done to the boys and their coaches Mr Ryan, Mr Wade and Martin Coleman. 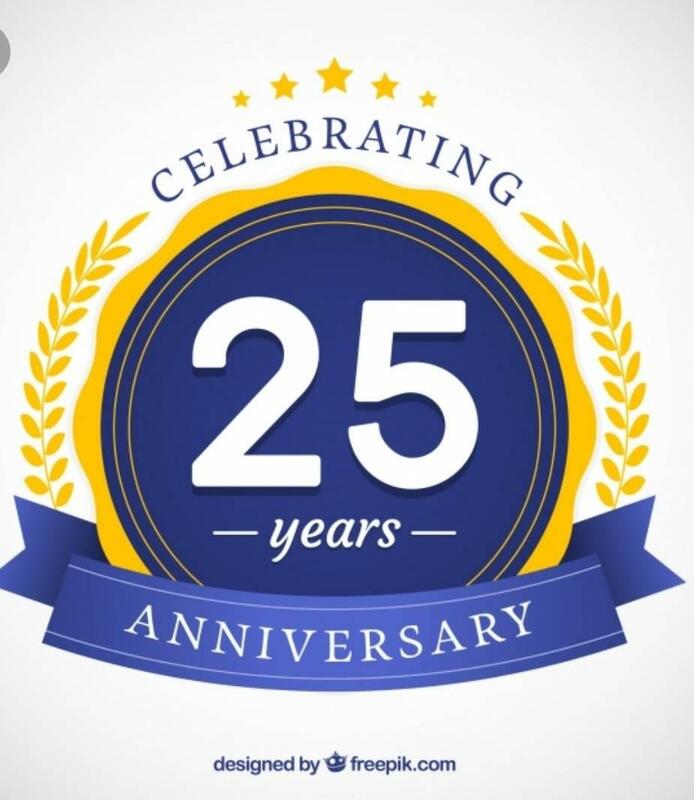 Reminder to all students, past and present, chairpersons of student councils and former students of the year - if you wish to submit articles for the 25th anniversary Cashel Community School Memories Booklet to please do so by emailing material to ccs25years@cashelcommunityschool.ie. 300 words approximately. Deadline for submission is 31st of March 2019. 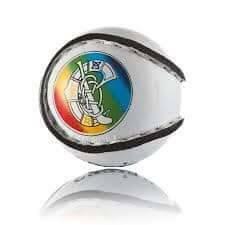 Junior Camogie All Ireland Final has been rescheduled for Wednesday 20th March at 2 o clock in Borrisoleigh Gaa Tipperary. Come along and support the girls! Postponement due to weather conditions. We will inform you with rescheduled fixture. Remember to bring back your App forms on Tuesday to be in with a chance to win a prize in our Tuesday evening. 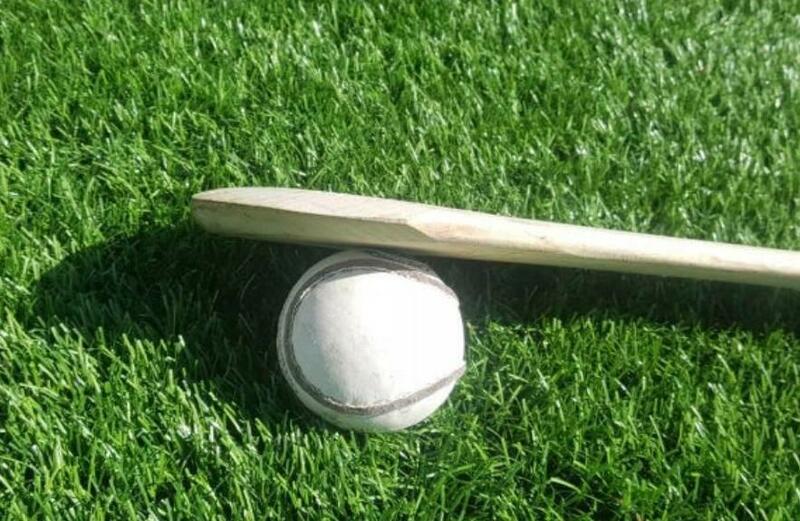 The u15 hurling quarter final CCS v CBC Cork has been changed to Ballyagran Co. Limerick for tomorrow Friday at 12.30. 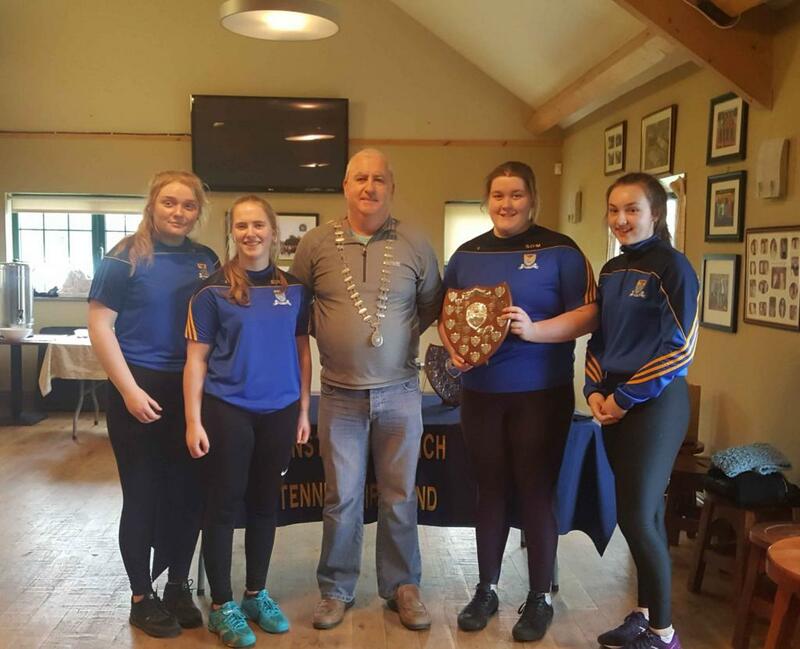 The CCS girls who recently won the u19 Munster Schools Tennis Shield 2019 are Cate Maher, Siobhan O'Connor, Sophie O'Meara and Eleanor Tobin. Well done girls! 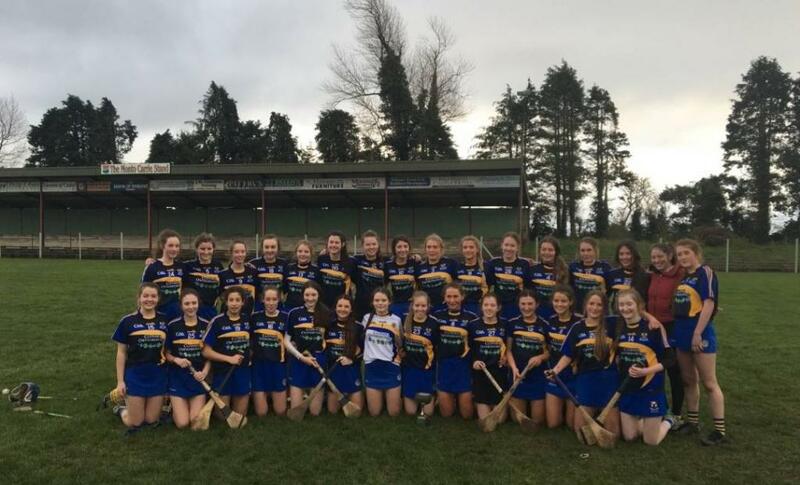 Cashel Community School 6-10 St. Pius X Magherafelt 0-1 Saturday 2nd March 2019 will live long in the memory of those involved as the day when the first GAA All Ireland title in the 25 years existence of Cashel Community School was won by the Senior Camogie team. In the unpredictable March weather, Magherafelt made a fatal flaw of choosing to play against the strong wind in the first half despite winning the toss. The girls from CCS seemed very prepared for the physicality of the northern team and struck the first blow of the day when Caoimhe Perdue, moved from her usual role at centre back to full forward, goaled her first of the day after 4 minutes. The Magherafelt puck outs were held up in the wind and the Cashel forwards made the most of this with Karin Blair, Grace Moloney and Rebecca Farrell all tagging on points in quick succession. Cashel gave an absolute masterclass in work rate, which has been a key feature of their performances all year. The midfield combination of Aine O’Dwyer and Aoibhe Gayson Molloy completely stopped Magherafelt from hurling, breaking every ball and tackle that came their way. Aoife Linehan took up the role of a third mid fielder and had the game of her life preventing attacks and clearing every ball she got her hands on. The floodgates opened with goals from both wing forwards Grace Moloney and Leah Baskin propelling Cashel to a 3-4 to 0-0 lead after 17 minutes. Magherafelt struggled to get the ball beyond the Cashel half backline of Meabh Elle Ryan, Sarah Delaney and Grace O’Dwyer whose strength, skill and determination saw them dominate the game on their terms. Magherafelt frees were visibly held up by the wind and Cashel captain Sorcha Ryan, a colossus at full back, won every ball that came her way in the air and drove out the field to clear her lines. Caoimhe Perdue’s pace was unstoppable at full forward and despite the attempt to play a sweeper in front of her, she goaled again. Karin Blair’s fourth point of the day brought the first half to a close with Cashel well on top on a score line of 4-7 to 0-0. As the teams returned to the field for the second half, the strong wind that had been there for the first half dropped completely. The score line didn’t reflect the physicality of the game, Magherafelt full back Clare McCartney was lucky to escape with a yellow card for a high pull on Caoimhe Perdue. Magherafelt’s only score of the game came from a free by Anna Cassidy in the 37th minute but it was clear at this stage that the Cashel girls had too much for them. Classy Caoimhe Perdue completed a hatrick of goals with a wonderful weaving run down the right wing and a finish into the top left hand corner of the net, followed quickly by her fourth goal of the day in the 57th minute, her final tally 4-1, deservedly earning herself the Player of the Match Award. 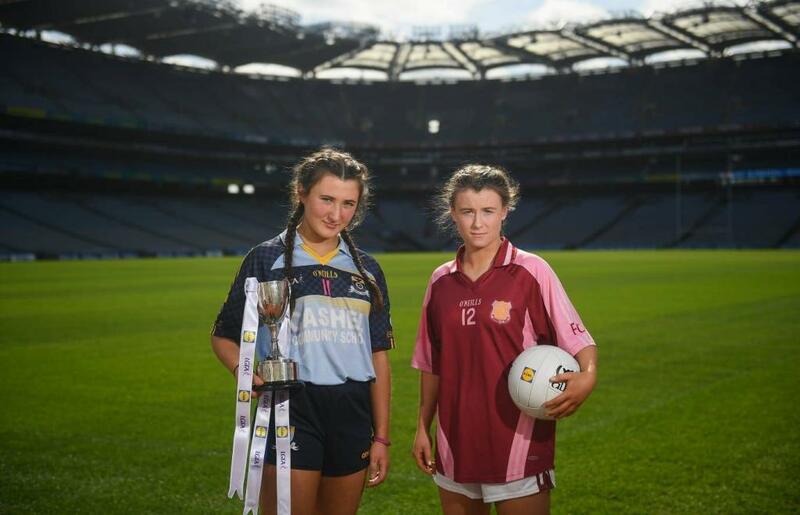 Lisa O’Connor made a welcome return as a substitute, having broken her wrist in the All Ireland Quarter Final and was unlucky not to get on the scoresheet. Eleanor Tobin scored a great point to seal the win for Cashel who ran out very convincing winners 6-10 to 0-1. Jubilant scenes followed as CCS captain Sorcha Ryan received the cup and celebrated with their coaches Mr. Hynes and Ms. Sheehan, their teachers, families and friends on what will go down in history as the first All Ireland GAA title for Cashel Community School. 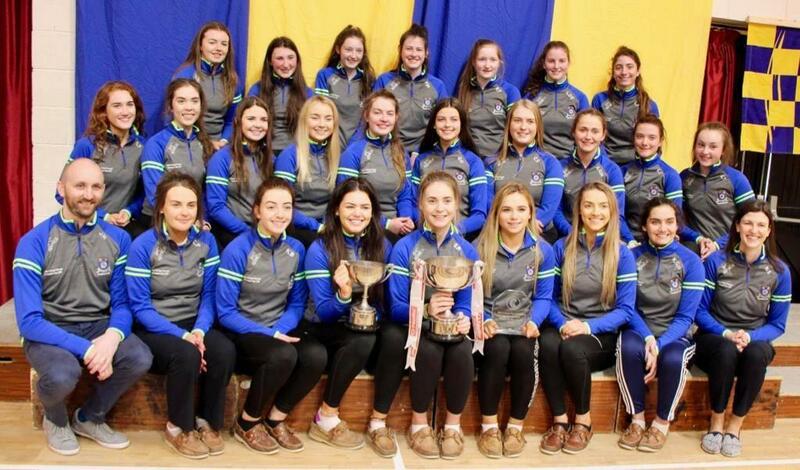 Cashel Community School: Kate Gayson Molloy, Leonie Farrell, Sorcha Ryan (captain), Leah Kavanagh, Grace O’Dwyer, Sarah Delaney, Meabh Elle Ryan, Aine O’Dwyer, Aoibhe Gayson Molloy, Grace Moloney (1-2), Karin Blair (0-4), Leah Baskin (1-1), Rebecca Farrell (0-1), Caoimhe Perdue (4-1), Aoife Linehan, Lucy Fogarty, Ciara Parker, Ciara Gahan, Eleanor Tobin (0-1), Aneeka Maxwell, Fiona McEniry, Lisa O’Connor, Eve Moloney, Sinead Furlong. Best of luck to our junior camogie team who take on Portumna C.S. this Saturday the 9th of March at 12 noon. Venue to be decided. Please Come and support our girls! 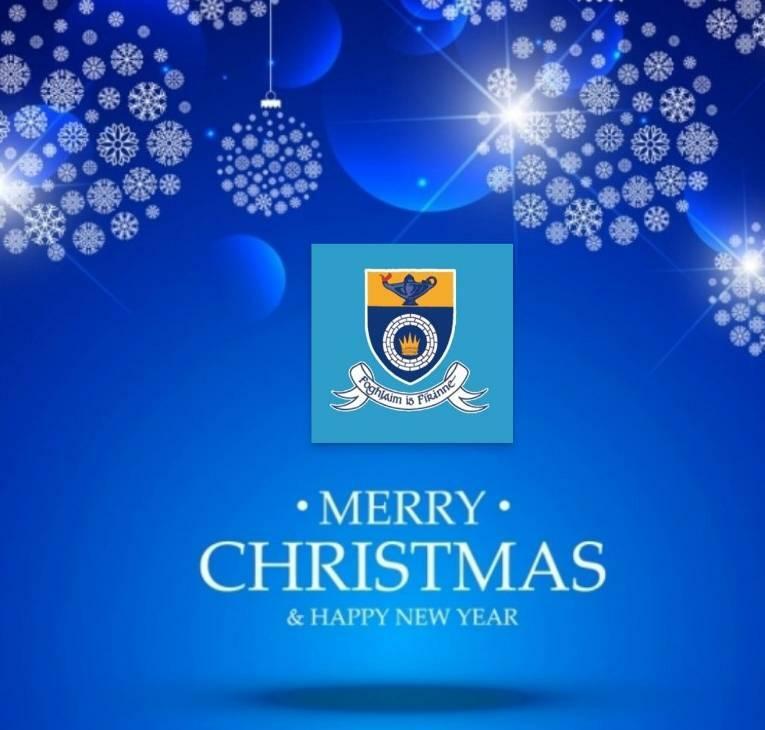 Cashel Community School would like to wish all our teachers, staff, students and their families a very safe and Happy Christmas. Enjoy the holidays. School will reopen on Monday 7th January 2019.